Rabbi Nochem Kaplan, Director of the central education office of Chabad-Lubavitch, was recently elected President of the National Council for Private School Accreditation (NCPSA), the umbrella organization for accrediting agencies of private schools in the U.S. from early childhood through grade 12. 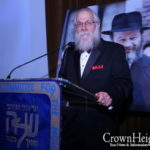 Following his election, Baila Olidort, editor of lubavitch.com, interviewed Rabbi Kaplan. You’ve been elected to serve as President of the NCPSA. How significant is that? Well, notwithstanding the fact that most people have never heard of it, the NCPSA represents in excess of 4,000 schools and some 5 million children nationwide. It has a major impact on education in the U.S. In his speech on education last week, President Obama raised alarm bells of falling grades, crumbling schools and nations outpacing us in education. What, in your opinion, are the greatest problems in the education children are receiving in the U.S. today? We’re coddling children instead of giving them rigorous educational programs that would endow them with the tools to learn independently. We spoon feed information to them, sugar coat the process so as to make it “relevant” to them. Rigor is missing in much of what passes for education in America. I’m reading that the United States is falling behind other developed nations in the percentage of its students who pursue college or other post-secondary education. Is that something that concerns you? It does, but like most statistics, it lies. Because the fact is that American education is egalitarian and we’re trying to do a credible job with all children. Witness the No Child Left Behind Act. In most other countries, those less capable, are simply left behind. It’s interesting that an international education association elected a rabbi to be its president. The fact that I’m a rabbi is not germane to my election. I was elected because of my work in education for the last 35 years, and because I bring a fresh perspective. That education needs to reflect values and ethics. Education is not only knowledge and skills. Look, we need to find some way to reintroduce ethics and morality into the education processes. I imagine that this perspective resonates strongly within the broader religious community represented within the NCPSA association. Yes, but not only with them. 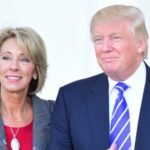 Even at the top echelons of education people are troubled that we have a seemingly Godless and ethically neutral educational system. That is the antithesis of what humankind should be striving for. You are also the Director of Merkos—the Education Department of Chabad-Lubavitch. Yes, under Merkos I represent 300 schools and some 26,000 children nationwide. I’ve also worked with Torah U’mesorah for many years. Then you are especially qualified to comment on the problems of Jewish education today. Let me first say this: I believe that the quality of Jewish education today is better than it was a generation ago. But the demands of the times are much greater. Children must feel that education speaks to them, encourages them, interests them, and excites them so that distractions from the outside don’t take priority. We’re still falling short here. The world today is an exciting place. If you just log on to the internet, the distractions are enormous and pervasive, so you can’t expect a child to go back to learning by rote—it has to be something far more involving than that. Wasn’t the rebbe against college? Your quoting Obama is petty sounding. You don’t sound intelligent by quoting a fool! Read the news and you’ll see that Obama is an amateur, and a loser at that, dragging our nation down the drain. Shams on you! Get in touch with reality! Confused, you carrying you name very well!! In any case, he’s talking about American kids in general, not frum kids. If frum kids are abandoning college to go to yeshivos, that is good; that is “other post-secondary education”. But when goyim abandon college to waste their lives, that is not good. Bnei Noach are supposed to be engaged in losheves yetzoroh, and for many that means post-secondary education. Confused, you are mixing the yotzros. For most chassidim, the Rebbe advised them not to go to college (some he davka advised to go). And if someone is asking Rabbi Kaplan as a mashpia whether he or she should go, he will answer according to how he sees that person’s best interest. But Chabad schools must first of all be attractive places for parents to send their children, or they will go elsewhere, and they will never get to the point of asking such a question! And for that to happen, the quality of the limudei chol must be high, and the college acceptance rate must be high. That is what parents see as a good school, somewhere to entrust their precious children; without it there will be no hafotzas hamaayonos chutzah, and we will be left preaching to our own. This is not Oholei Torah or Lubavitcher Yeshivah. kaplan was VOTED in by no one to his position it’s another sham of Merkos. how about working in his own backyard before changing the world. I’m not saying that we should be paranoid… but don’t be a FOOL!!! Don’t live in a dreamland. Read the news (listen to Michael Savage!) and be informed!!! i dont like stuck up people. but good luck to him. Mendel, excuse me? Of course he was elected to this position. How else do you think he got it? Win it at a Chinese auction?